Monetize your blog with 7 types of ads. When monetizing your blog, don't confine it with just Google adsense; there are other options for bloggers and all of them offer free. While the bloggers from the U.S. are well aware of various types of ads that a blogger can place in his blog, majority of the Indian bloggers are not aware of such options. The income from adsense purely depends on clicks made on the ads placed. How about no such condition but can still fetch you money? I hope I have kindled your interest. Google Adsense is not for all; especially Indian bloggers would agree with me-right? 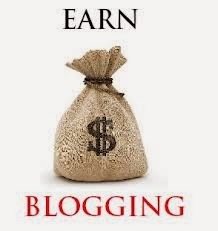 I have compiled a big blog titled, "7 Types of ads on your blog to earn money'". Please read it and if you like it, please share it with your social circles.